American born Beauty Botanist Jennifer Hirsch explains we should use haircare products containing plant-based ingredients. 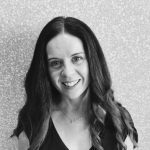 Born in America and living in England Jennifer has developed an extensive career in the field of botany before joining the vegan and cruelty-free British haircare brand, Noughty. Starting with her background, on how she became a Beauty Botanist, BB writer Rebecca gets intimate with Jennifer to discover why plant-based ingredients in haircare is important. How did you became a Botanist working in beauty? “ I’m 48 years young. I live in a little village in a rural valley in Wiltshire, England with my husband, four dogs and three chickens who happen to think they’re dogs. From a young age, I have always had a passion for plants and their uses. Which originated when I discovered at the age of 18 months, that the berries I loved to eat grew on grandmother’s strawberry patch outside and didn’t just appear on plates. So, it’s fair to say you’ve been obsessed with plants for a very long time, from how they work to their benefits? “Yes. While I’ve always been fascinated by plant-based beauty and what drives a person to smear smashed avocado all over their skin. My interest, passion and expertise on plants as beauty ingredients was honed with my five years of working as an in-house Botanist for renowned natural skincare brand Liz Earle. What is a Beauty Botanist exactly? “The Beauty Botanist is a moniker given to me by a journalist trying to explain to another member of the press just what it was I did and who I was. My boss at the time overheard, laughed and decided it was the perfect label. In reality, what I do is best is referred to as ethnobotany. Which is the study on the relationship between people (ethno) and plants (botany). I love chatting with people, learning new things and asking the question ‘why’? So, it makes sense these two things coalesced into ethnobotany. When people hear what I do, they often envision a Livingstone-esque existence under canvas and trouping through rainforests on the hunt for newness. Sadly, my existence is more prosaic than that; though it’s probably fortunate as I have sensitive skin, can’t take much sun and swell when bitten by bugs. Although I do have the privilege of getting out into the field and visiting farmers and communities harvesting ingredients, most of my hunting is restricted to the stacks of the British Library, the internet, and my network of suppliers and growers. What are the benefits of plant-based ingredients in beauty products, specifically hair products? “The human body has evolved with plants and we are designed to consume them as they convert into energy and provide much needed nutrients to the body. This synergy we share with plants and the ingredients made from them, makes natural haircare particularly effective. After all we only ever used naturally based beauty products from plants in the past, before modern science took over. Plant extracts or actives are the other big groups of plant-based ingredients used in haircare. Extracts fall into two categories: aqueous extracts; which have a history of traditional use and modern extracts; which have scientific substantiation for their activity. Modern extracts (aka actives) are the gold standard of ingredients when used at an active level, with research showing exactly how they’ll perform on hair. At Noughty, we’re obsessed with the performance benefits of plant oils on hair. Oils extracted from nuts, seeds and fruits boost the strength of hair, improve suppleness, smoothness and shine and also help to reduce damage and breakage. Can you give me an example on the results you’ve achieved with the study of plant-based ingredients in haircare? “Sure. For example, the blend of black oat extract and lecithin in Noughty’s ‘To The Rescue Hair Treatment’, has improved the structure of the hair’s surface by up to 43%. That translates as hair that is easier to comb and becomes glossier. It’s also hair that can better withstand the abuse we put our manes through with environmental factors like heat and cold, and of course heat styling. What are some other studies conducted, which resulted in backing the claim of how wonderous plant-based ingredients are for hair? “There are two types of studies conducted when working out what works and doesn’t work. They are academic studies and ingredient manufactured funded research. Most academic studies research a particular plant ingredient, like aloe or shea butter, or the active piece of chemistry within a given plant, like an antioxidant. These are useful as they tell you a lot about what an ingredient is made up of and how they perform. What are some of the results you can expect from using haircare products filled with plant-based ingredients? At Noughty, we work closely with a couple of ingredient manufacturers to understand exactly how their plant-based ingredients are going to perform in the haircare product. For example, the QuinOxy in some of Noughty’s Wave Hello products is strategically blended using science to create the perfect solution of wheat extract, camellia oil and linoleic acid to form a scientifically substantiated and high-performing product which addresses the specific needs of curly hair. This special formulation helps to fights frizz, reduce volume; even in humid conditions like Australia, detangles the hair, defines natural curls; without sacrificing movement and creates curl memory; which is when the hair remembers the way it curled with the product. Click here for more on cruelty-free British haircare brand Noughty.